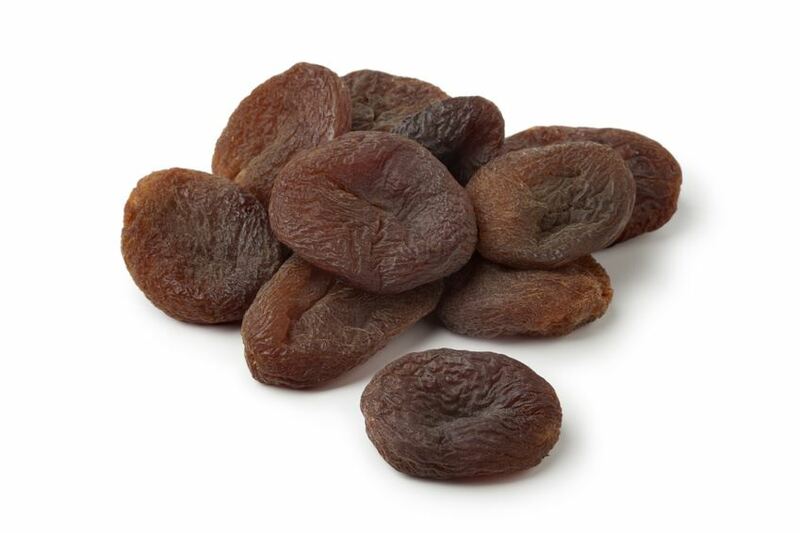 Dried apricots contain many mineral nutrients, up to five times more than fresh ones. Combined with their tasty sweetness, apricots are a perfect healthy snack between meals. Apricots are originally from northern China, the Romans first brought them to Europe and established their reputation as an aphrodisiac. Today, the shrubs and little trees can be found in the Mediterranean area, especially in Turkey. Apricots contain carotinois, a pre-stage of vitamin A, and many other vitamins such as vitamin B5, folic acid, potassium, iron, phosphorus, magnesium and zinc.